The kitchen sink is one of the most used things in the whole house. 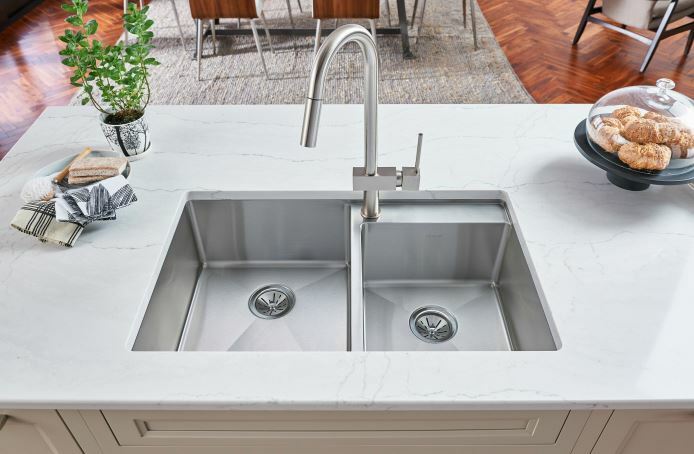 When remodeling, we often hear “my sink isn’t big enough,” or “it’s hard to work with a double bowl sink.” And then there’s my personal favorite, “It just came with the house, and now I want it out.” No matter the reason, I am here to share a few of my favorite sinks and the reasons why. The Elkay Crosstown is hands down my FAVORITE sink. 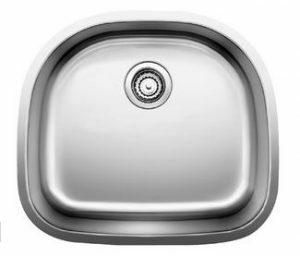 This sink has a high nickel content, which means it has a longer life span and wont rust for a long time. 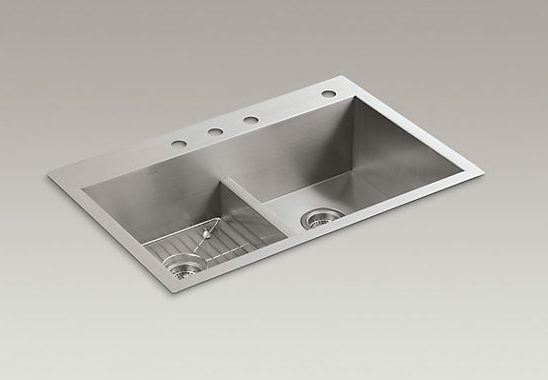 This sink comes in many sizes so it works for large and small kitchens. The best part is that the drain is off from the center, so it’s perfect for cutting food and sliding it down the drain. Some kitchens don’t have the opportunity to have a large rectangular sink. In this case, we turn to a “D” shape sink. This wonderful D shape sink provides extra space for items with the curve of the back of the sink. It also has a large nickel content to help it live longer. For those who love a double sink, and cook a lot, this is the sink for you. Kohler’s “smart divide” system makes it easier for large pots and pans with long handles to be cleaned. The middle divider comes down lower than the majority of double sinks – making it easier to clean larger items. 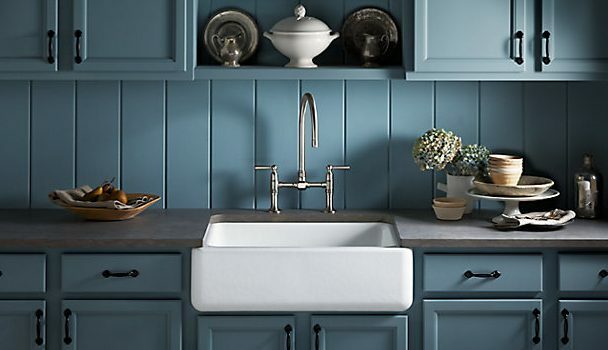 One of the first things clients point out in a traditional kitchen design is the beautiful farm sink. This beautiful farm sink can have many different looks and feels for a wavy effect on the front to a smooth classic feel.